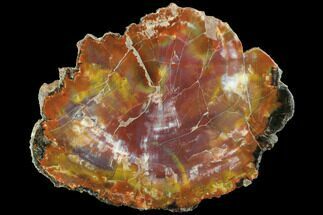 This is a vibrantly colored slice of Araucarioxylon arizonicum petrified wood from Arizona. 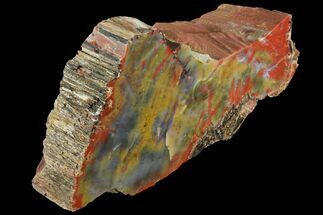 It's Late Triassic in age and displays beautiful purple, red, orange and yellow colorations. One side has been polished to a mirror like finish. A display stand is included with this specimen. The vibrant coloration is due to the contaminating minerals in the silica which replaced the original wood structure. 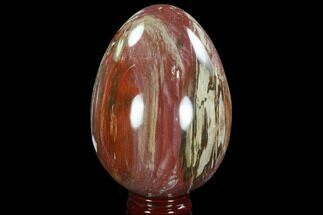 For example pinks and reds are due to hematite, a form of oxidized iron. 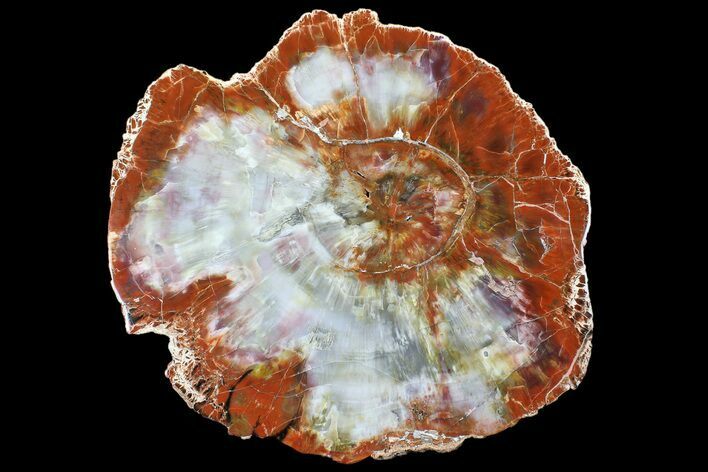 This is similar petrified would which is found in the Petrified Forest National Park. The petrified forest encompasses nearly 100k acres and this wood comes from land outside of the park. It from the extinct conifer Araucarioxylon arizonicum which happens to be the state fossil of Arizona. 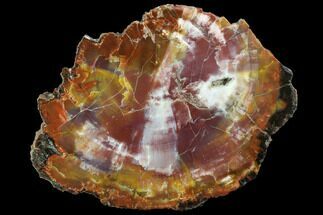 The petrified wood of this tree is frequently referred to as "Rainbow wood" because of the large variety of colors some specimens exhibit. 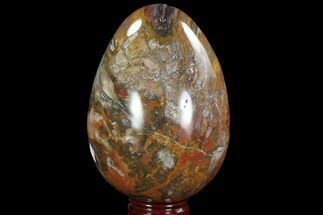 The red and yellow are produced by large particulate forms of iron oxide, the yellow being limonite and the red being hematite. The purple hue comes from extremely fine spherules of hematite distributed throughout the quartz matrix. Araucarioxylon arizonicum is estimated to have grown more than 150 feet high and dominated the tropical forests in what is now Arizona nearly 225 million years ago. 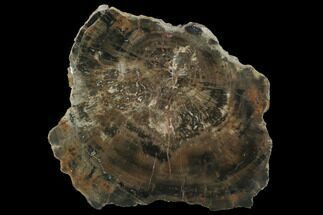 Thick, Polished Arizona Petrified Wood Section - 9.8"